When it comes to talking with school colleagues across content areas about literacy, I can’t even count the number of times I have heard, “Oh, I don’t have to worry about that, my ELA teammate has it covered!” I personally believe it is such a common misconception that literacy instruction is just an ELA skill. Has no one else ever heard the expression “It takes a village!”? Well, that village just got some reinforcements in the form of Flocabulary. Literacy can and should be incorporated across all content areas, and Flocabulary can help. 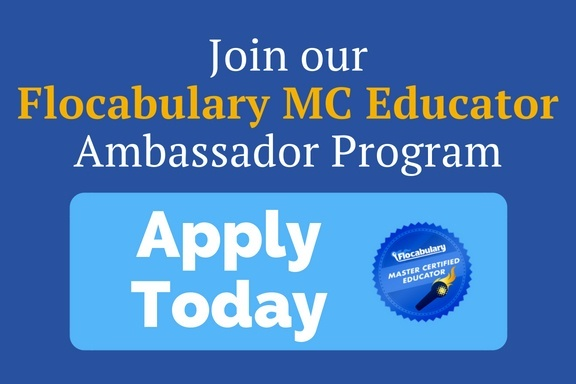 You might be asking yourself, “How can Flocabulary help literacy? Isn’t it just raps?” Well, sit back, get comfy and get your popcorn ready, because this feature film on literacy starts NOW! 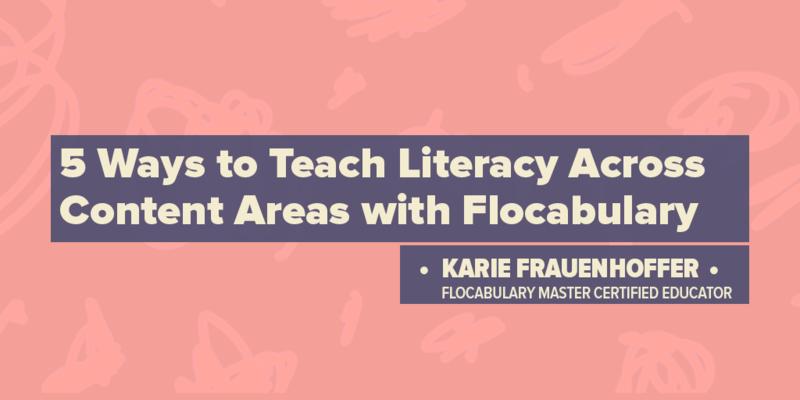 Here are five ways you can use Flocabulary to support literacy instruction, no matter the subject. We are always on the hunt for a fun way to get our students interested in our content. Let’s be honest, it’s not all fun and games! 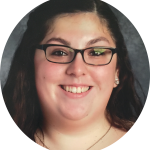 I have helped increase student engagement and participation by printing out the complete lyrics of a Flocabulary rap I am going to utilize in class, like the the Author’s Purpose rap. I print off the lyrics and cut them into sections. Each section goes to a group. As a group, the students read over their lyrics section and synthesize their thoughts on their section. Then, we come together whole group and listen to the rap and see if they were right or wrong in their inferences! 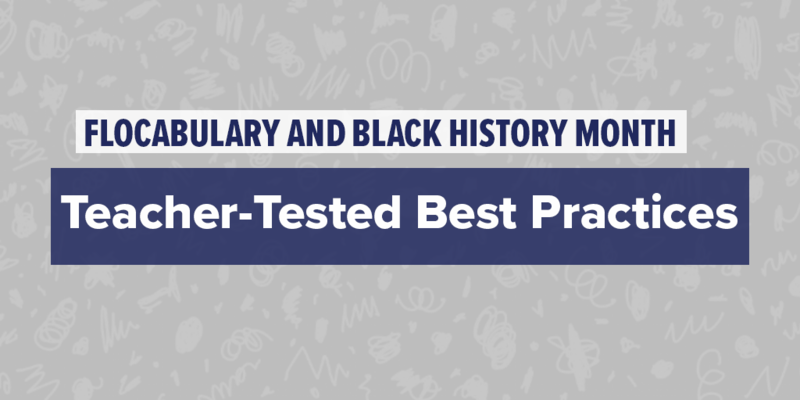 You could use this strategy for any Flocabulary unit across subject areas. An important literacy skill for students to acquire is the ability to talk to a text. Annotations are a great way to get students jotting down those thought bubbles that pop up as they read. You can print out the lyrics to have students jot down those thoughts as they come to mind. For example, I have used this strategy for the Five Elements of a Story rap. You can also use this method to pose questions to your students OR utilizing Flocabulary’s Discuss Mode feature and have your students answer those questions on the printed lyrics. One amazing feature that you can find on Flocabulary is “Discuss Mode.” This is a fantastic feature to use for Socraticic seminars or whole class discussions. You simply slide the button next to the words “Discuss” at the bottom of the video, and press play! Flocabulary has included periodic stopping points with questions to help facilitate discussion and student collaboration. Make this a multi-literacy skill activity by having students listen and discuss in pairs, then use a writing prompt to bring the activity full circle. 4. Try a Bit of APP-SMASHING! It isn’t a Friday if Flocabulary’s current events program, The Week in Rap, isn’t on! My students love it. Try app-smashing this tool with another popular edtech tool like Newsela. View The Week in Rap whole class and then challenge students to hop on Newsela and find corresponding articles to some of the news events discussed in The Week in Rap! P.S. Don’t forget tip #2. You can print off The Week in Rap Lyrics and have students practice those annotation skills! A student FAVORITE Flocabulary feature is the amazing LYRIC LAB. Lyric Lab is great for the novice rapper AND the seasoned rap lyricist! With hip-hop music being such a popular genre today, you might as well jump on that train. I guarantee you, even your most reluctant participant will love the ease of use with Lyric Lab. Lyric Lab provides your students with key terms they should include, a whole bunch of beats to use and helps them with rhyming too. 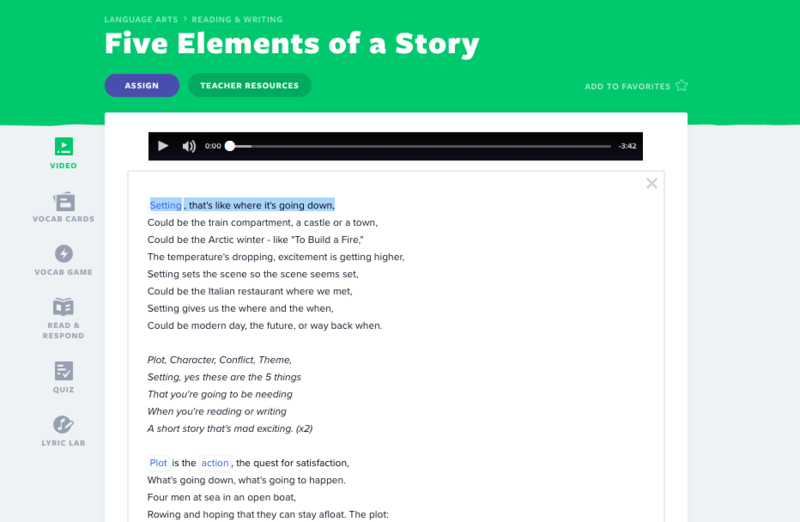 Lyric Lab is a great support for literacy instruction as it not only gets students writing, (which, by the way, doesn’t have to be structured like a five-paragraph essay—it can be as simple as a rap) it also gets them speaking! Literacy encompasses several skills, and speaking is an important one. Lyric Lab is a great summative assessment for any lesson, and you can’t top the student engagement.